The women's day celebrations on March 8, 2015 saw the participation of all the Anchals in Tamil Nadu. 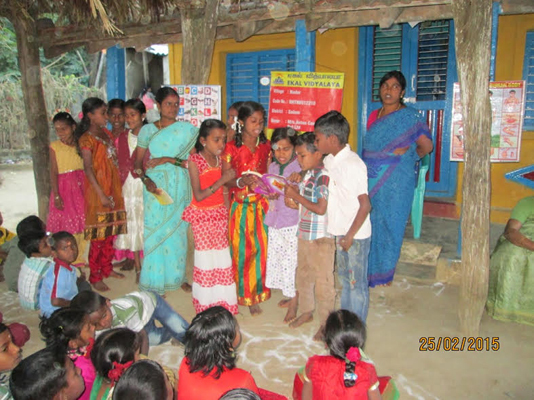 Several programs such as an awareness campaign against drug abuse in all the EKAL villages were organized by the teachers of EKAL Vidyalaya with the help of Gram Samithi. This procession led by teachers, children and karyakarthas attempted to highlight the ill-effects of consuming liquor and drugs. Gramotthan Sansadhan Kendra of Eklavya Swavalamban Trust at Gragaon (Wada) has been organising Medical Camps in association with Vanvasi Kalyan Ashram Thane Gramin. A team of 8 Ayurveda doctors including one lady doctor from Thane City headed by Dr Kelkar are regularly holding such camps. 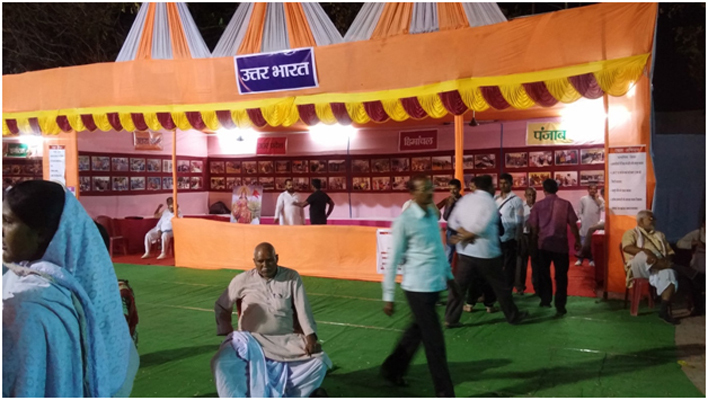 The 1st camp at EST/GSK was held on 23rd November, 2014 when 87 patients had taken benefit at the Camp. In the 2nd camp organised on 21st December, 2014, 47 new and 17 old patients were treated and necessary medicines were given free of charge. 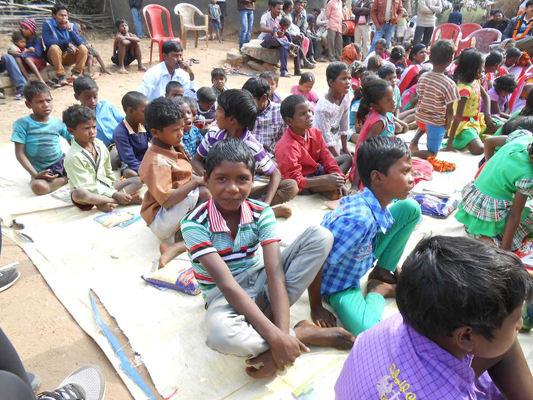 At the 3rd camp held on 25th January, 2015 total of 64 patients were treated. The next camp is scheduled on Sunday, the 22nd February 2015. The propaganda of the medical camp is done by EST Gargaon jointly with local team of Vanvasi kalyan Ashram Karyakartas. 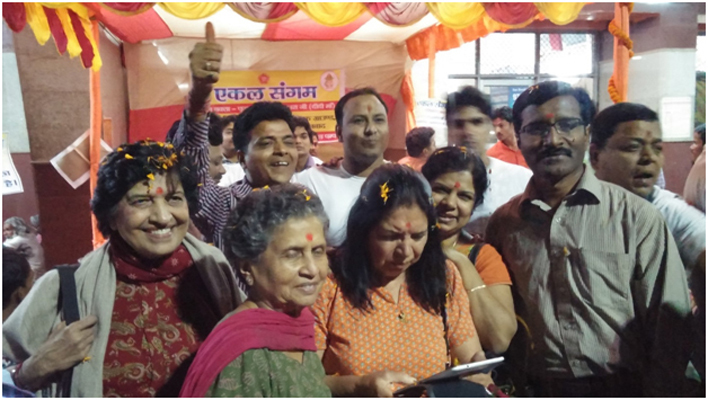 About 42 delegates from US descended down at the Dhanbad railway station on 28th February, 2015 to a rousing reception by the EKAL Sangam team. 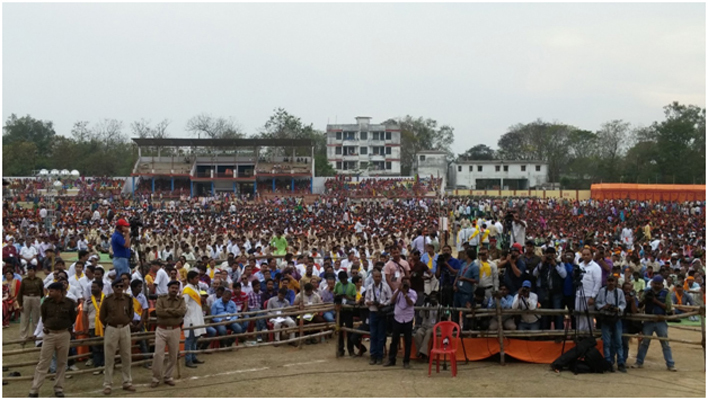 The delegates who had come to witness the "Parinam Kumbh" were awed at the accomplishment of the EKAL that has grown multi fold to support over 50,000 schools educating over 1.5 million children living in the rural and tribal areas all over India. 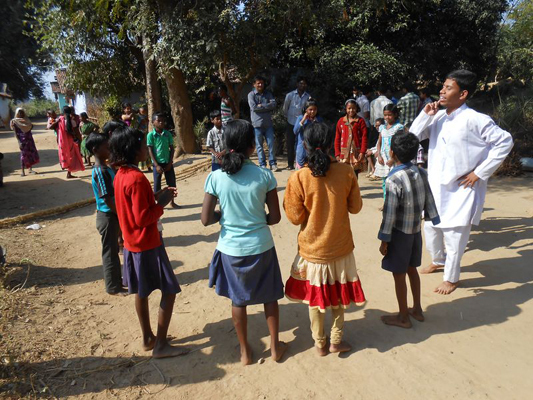 The audiences were inspired by the 'Anubhav Katha' or experiences of the full-time workers of EKAL Abhiyan involved in the five-fold or panchmukhi shiksha that strives for the holistic development of the villages or Gramothan. This event also enumerated the road map planned for the next 25 years in providing a Swatch Gram (clean village), Swasth Gram (healthy village), Samarth Gram (holistically developed village) and Swavalambi Gram (self-sufficient village). These initiatives would undoubtedly require the help and support from all corners of India and abroad in ensuring that the vision of EKAL Abhiyan becomes a reality. The Mumbai Chapter of FTS celebrated its 16th Annual Day on 7th March 2015 at Nehru Auditorium, Mumbai. The function commenced with the screening of a short film showcasing the activities of EKAL in the remote villages of India. The chapter President Shri Shreegopal Kabra gave the welcome address and Hon.Joint Secretary Shri V.C. Kothari presented the chapter's Annual report for the year 2014-15. Shri Pradeep Goyal delivered the keynote address. 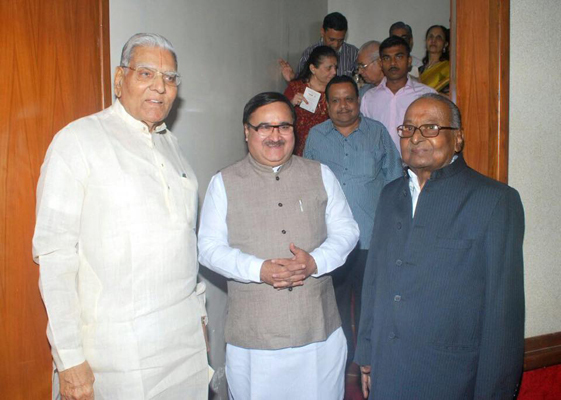 The other dignitaries present were Smt. Sandra Shroff, Vice Chairperson of United Phosphorous Ltd who was the Chief Guest and Shri Prakash Mehta, Minister of Housing, Labour, Mining and Guardian minister of Raigad was the Guest of Honor of the function. "Parinam Kumbh" conducted on March 1-3, 2015 proved to be a significant milestone in the 25 years of the journey of EKAL, with its twists and turns, learning from the past and a fresh start to build the future with more determination and vigour. 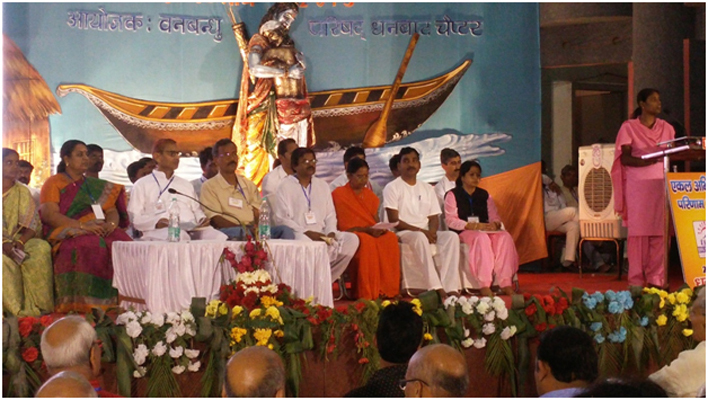 Parinam Kumbh was organized in Dhanbad, the place where this organization was founded 25 years ago. It marked the congregation of different umbrella organizations of EKAL Abhiyan both within India and abroad. The three day program was well organized with exhibition and events that showcased the work of the participants from different states of India. The event marked the inaugural address on each day by several dignitaries and informative sessions on primary education, health care, developmental initiatives, empowerment and cultural education. Panchjanya Magazine has come out with a four page write-up on Parinam Kumbh and the link below elaborates the proceedings of the event. I usually visit India every other summer break for family reasons: this time, however, I went to work for a nonprofit organization called EKAL Vidyalaya. 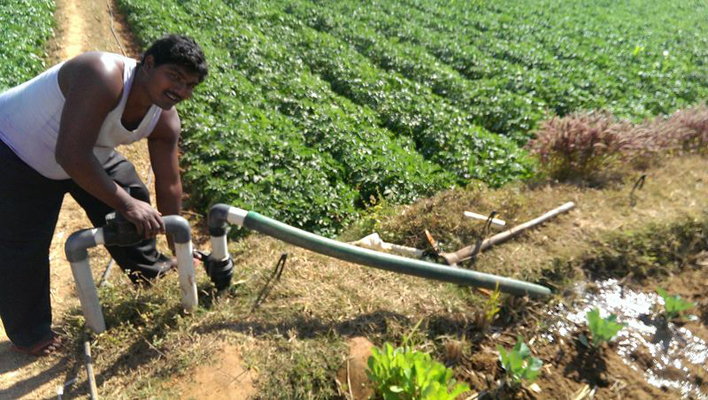 Recently, EKAL has branched out focussing on the upliftment of the villages known as "Gramotthan". This includes setting up of resources for farmers to learn about how to increase their income by increasing the yield from their agricultural land, imparting vocational training like sewing and setting up a village council to identify and address ongoing issues in the village. As rightly put by my coordinator "These villages have so much more to teach you than you can possibly teach them, and the best thing you can do with this experience is just listen, observe, and try to understand their lives". I couldn't agree more. After visiting couple of temples in the holy place of Vrindavan, we started our real journey to EKAL School passing through rustic scenery with not well laid roads. The members of the village and the school staff greeted us very warmly and garlanded me. All the 28 students of the school chanted AUM mantra followed by Gayathri Mantra and Saraswati Vandana. At this time, I was asked to light the Diva (lamp) for Goddess Saraswati. Then, the kids demonstrated their work performance that consisted of both academic and cultural performance. One young boy enacted the story of tomato in a poetical way and another on fish. It was equally amazing to witness their mathematical abilities like reciting the multiplication tables from 1 to 20 and functions of addition, subtraction, multiplication and division on the chalk board. The program came to an end with the demonstration of yoga postures by all the kids together. I distributed the small gifts that I had bought for the kids, teachers and volunteers. 1. I have never seen any work like this before, done with such dedication from all concerned without expecting any financial rewards. 2. In my opinion, even private schools (which charge astronomical fees) may not impart such kind of education. 3. My hats off to teachers, volunteers, village parivar and EKAL for having brought this concept to such wonderful level and the great work being done. The Vanyatra at Anchal Raysen, Sanch Sultanpur, Churka village, Kanjai was attended by 20 members including the office bearers and few new donors. The highlights of the program included donation of study materials, sweets and chocolates to the children. Further, the children were taught new games and the ill effects of drugs were also discussed to create awareness among the children. 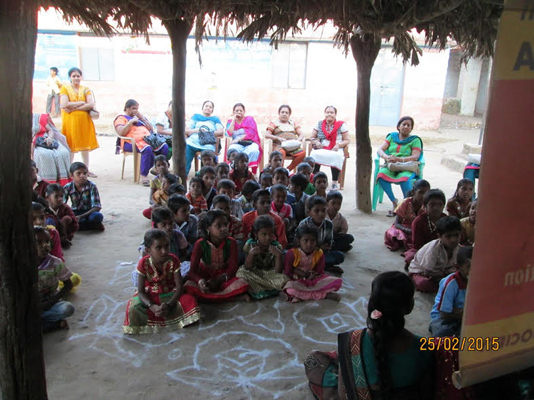 The FTS Erode Mahila Chapter went on a Vanyatra on 25th February to Nadur Village in Salem Anchal located in Tamilnadu.